Groundbreaking ship classes and designs have been originating from the factories on planet Baumar for ages. And today, these factories announce another technical marvel: Mizar Stellar Technologies is proud to present the new „MST-Z Scorpion Hybrid“ – a versatile performer with striking qualities! This modern ship has been outfitted with state of the art technologies to live up to the demands and expectations of human pilots. Today, no second vessel built for humans matches its winning combination of innovative and powerful features while maintaining an outstanding maneuverability! A Delicate Encounter: Are Mantis Going to Fight Mantis? 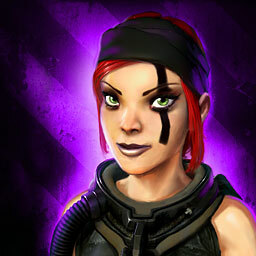 A renegade group of Mantis is asking for support in the planned assault of their former queen! Natassia Ivanova had been asked to lead the negotiations, and despite lingering doubts she finally agreed. She will surely need the help of her allies to make sure every detail of the proposed deal is above board! „The Scorpion Deal“ starts on Friday, October 12, at 16:00 UTC+2. The event concludes on Sunday, October 14, at 23:59 UTC+2. First mission sets off from the orbit of planet Baumar in the Mizar system. Earn blueprints for the outstandingly strong „MST-Z Scorpion Hybrid“!